I had to check my own homepage to see what I wrote the last time I updated it. This does not mean I am not into sports, not training, or not having enough time. I am both training and I also have spare time. The problem is that I spend my spare time outside, enjoying the good and sunny weather. Who would not do that, we have summer temperatures already in April. Crazy, but I like it. Beginning of April we did a weekend trip to my hometown Kokkola. Three days of cross country skiing and the highlight of the journey was my grandmother’s 90th birthday. All family got together and celebrated my grandmother. She is by the way in such a good shape. Wonder how many kilometres she will ride her bike this summer? Think we were also lucky with the snow conditions during our stay. The tracks on the sea were freshly prepared and we did my favourite loop. This loop is not often open, due to the weak ice conditions. This winter was a very cold winter and therefore also a very good ‘ice-winter’. 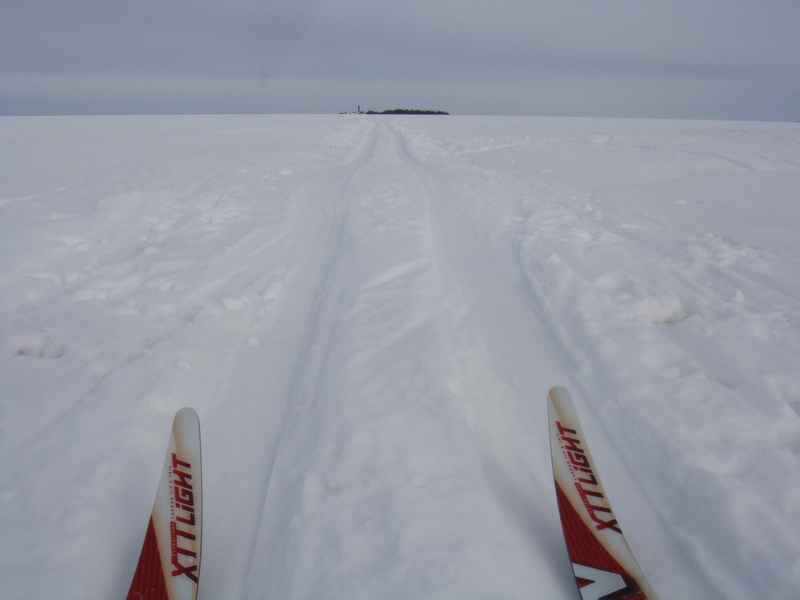 We started in Santahaka skistadium and skied to Harrbåda lighthouse. From there we went on the sea and skied over to Rastimaja. We followed the coastline to Trullö and continued to Trullögrund island. To my big surprise the track continued from there to Krunni island and Poroluoto island. There was no way I could turn back, I just wanted to do the whole loop. From Poroluoto we had to do 10km before we did hit mainland again. A terrible headwind faced us. After 4hours of skiing I must say I was pretty tired. Now I am back in Germany. Working on my cycling shape and I feel my body is soon ready to start with real training. My legs and engine are starting to feel ready for a little bit more intensity. But I will still wait a little bit with the hard stuff, the season will be long enough and I want to be fresh both in my body and mind during the whole season.